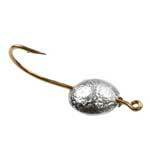 Home / MISCELLANEOUS / LARVA JIG-UNPAINTED 1/32 – 1/16 – 3/32 – 1/8 oz. 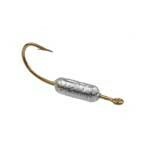 LARVA JIG-UNPAINTED 1/32 – 1/16 – 3/32 – 1/8 oz. Fish love to dine on the harmless developing larva, so we designed this jig to mimic its falling action. The forward position of the hook eye makes the Larva Jig more snag resistant, even when ice fishing. 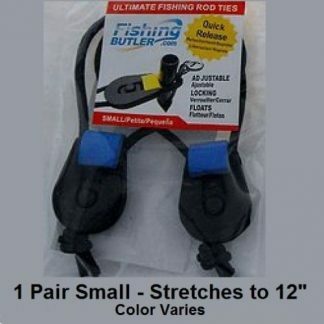 Outfit with feathers or plastic tubular jig skirts to lure crappie and panfish. The hooks size on the larva jig is similar to one size larger of a regular jig hook, thus a larva size six is similar to a jig hook size four. FISHING BUTLER CRAPPIE JIG-UNPAINTED 1/32 oz.